Forget the fruitcake and give a gift anyone will love! 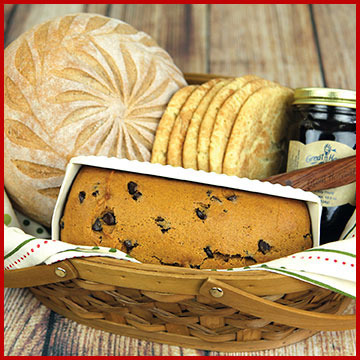 We have fresh gift ideas for every taste and budget! Thank clients, employees, or treat that special someone on your lit to a unique, handcrafted gift. With each purchase of a Grab ’n’ Go gift, get a free loaf of Honey Whole Wheat to enjoy. Click the link below to redeem your offer while it lasts!